The Tor Project has today launched a crowdfunding campaign to raise funds and Mozilla will double donations to a total of $ 500,000. Every day, 2 million people use the Tor network to protect their privacy and visit censored websites. According to the Tor Project, the number of online attacks on censorship and privacy was unprecedented this year. "Countries around the world tried to restrict access to the web, to dissolve dissidents and to compromise personal privacy," said Tommy Collison of the Tor Project. Also for next year, the Tor Project expects many governments and companies censorship to make the norm and want privacy to be included in the past. A large part of the revenue from the Tor Project comes from the US government and the organization wants to reduce it by depending more on individual donations. As there are no restrictions on crowdfunding, the money that is collected can be spent on projects which, according to the Tor Project, are the most important and can be responded quickly to changing circumstances. Furthermore, the Tor Project praises cooperation with Mozilla. Not only will Mozilla double donations to a total of $ 500,000, both parties will work closely together in software development. For example, there is regular consultation between the engineers of Mozilla and the Tor Project. 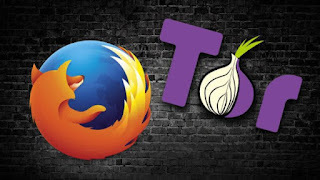 For example, Tor Browser's privacy enhancements are added to Firefox, and Mozilla engineers have taught Tor developers to program in the Rust programming language. In addition, Mozilla helps the Tor network by running several Tor servers.